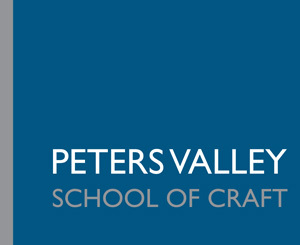 The Peters Valley Gallery sells work from dozens of talented Artists and Craftspeople who consign their work in the shop. Artists interested in selling their work in the Peters Valley Retail Gallery are invited to contact Brienne Rosner, Gallery Director via email at gallery@petersvalley.org . Because we receive a large number of submissions we request all applicants to send 5 specific images of the work intended for sale in the gallery with details for each piece (price, materials, process, etc.). Any additional information about the work or the artist is welcome in the email, including a website or webstore. We encourage you to upload professional quality images of work available in the gallery for consideration our online store. Images on our site are 1000px square 72ppi. If your images are not square please make sure they are larger so we can size them. Dimensions, materials and any other details (i.e. dishwasher or microwave safe, handwash only, can be used for......) are a huge help for us. Click to upload your images. We request that you complete our new Inventory CSV Template, or email us a spreadsheet/table so we can more efficiently receive your new inventory. Please retain a copy of your inventory for your records. Click to download Inventory Template and Instructions.